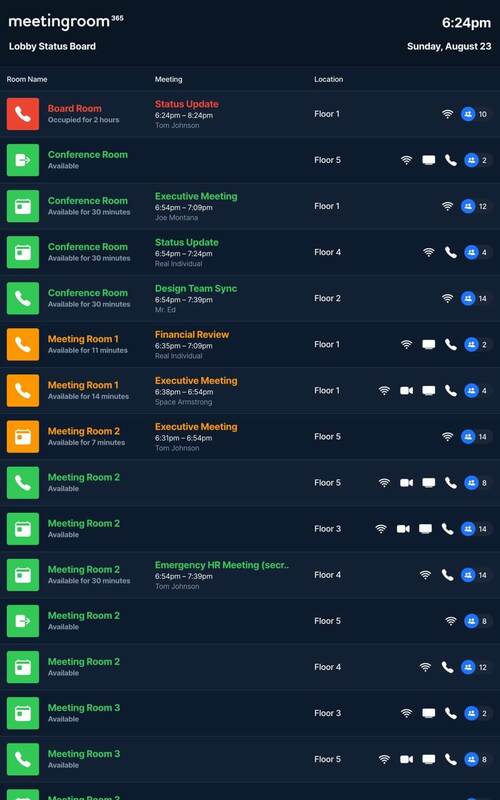 Once you set up your Meeting Room displays, you can add an overview display in a couple of minutes, for free. Save $500+ / year. Set up your Meeting Room displays in Meeting Room 365. Customize with your logo, brand color, language, and theme options. We never charge for your status board display, only meeting rooms. 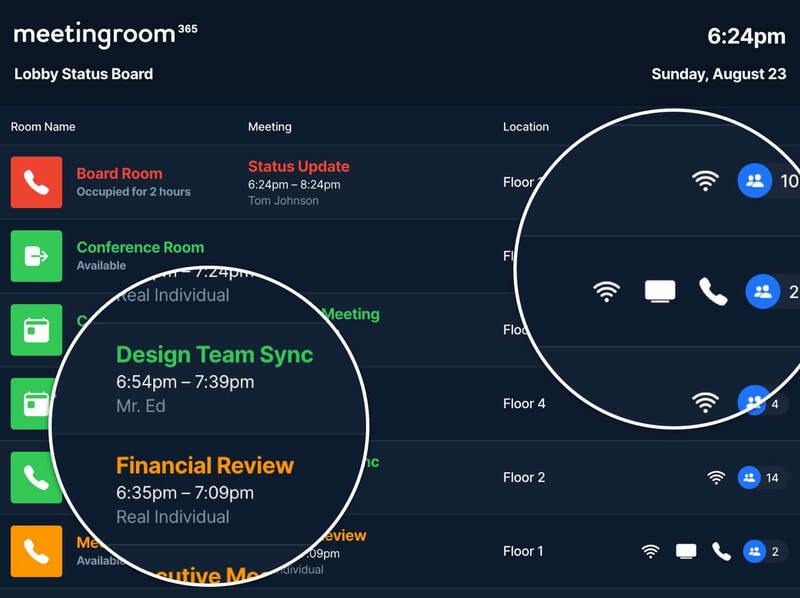 Status board displays are the fastest way for employees to find an available meeting room. Place status board displays in highly-trafficked areas, so your team can confirm their meeting locations quickly. 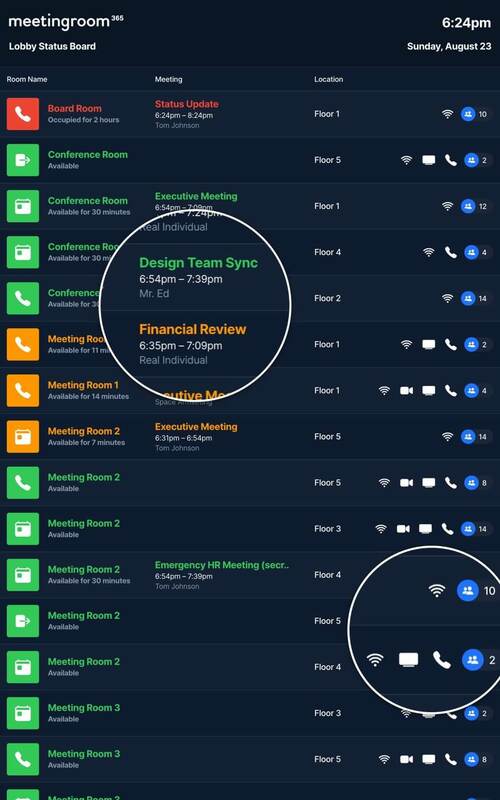 Show visitors your team gets things done, in real time. Customize the look & feel to match your company's brand. Easily locate the closest-available meeting room with the equipment you need, for the correct duration. List the Location and Equipment available in each meeting space, so everyone finds the right room. See how many minutes your room is available for. Yellow for a few minutes, or green for longer durations.